devitalizart » Archive » I tempi non sono duri per i sognatori, sarebbero duri se i sognatori ottenessero quello che vogliono. 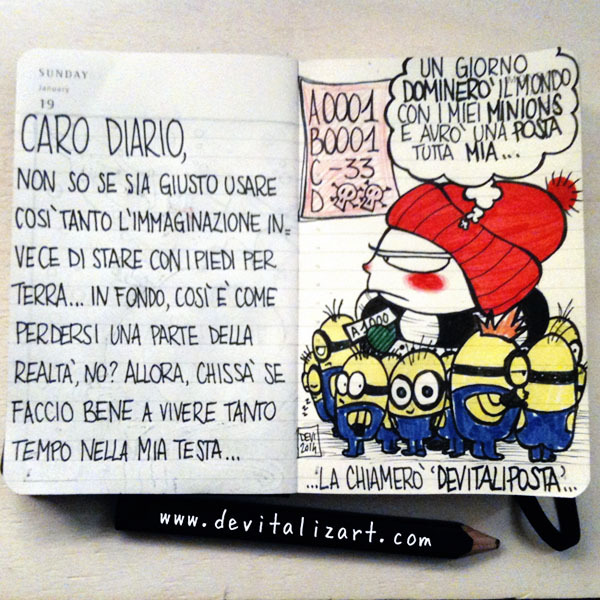 This entry was posted on lunedì, gennaio 20th, 2014 at 22:06 and is filed under comics. You can follow any responses to this entry through the RSS 2.0 feed. You can leave a response, or trackback from your own site.